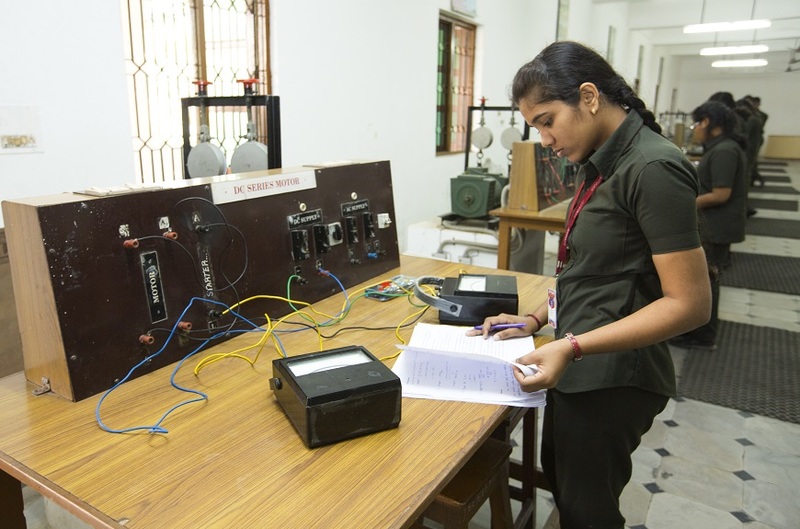 The department of Electrical & Electronics established in the year 2001 with the undergraduate programme and it has well qualified, dedicated and experienced faculty who have been the driving force behind the rapid success of this department. The department lays stress on all round development of the students as well as faculty and laboratory staff by providing them conducive academic environment and necessary infrastructure for carrying out academic and research work. The UG program is embraced by rigor and span to prepare a practicing engineer for a lifetime of creative work and ongoing technical learning with signed MoU’s like NIWE, NIELIT, NSIC, MSME and VI Micro Systems Pvt Ltd. for academic and project work purposes. Students undergo in plant Training & final year students carry out project work in various industries which enlighten them on the work environment in today’s world. Student’s memberships in various professional bodies like IEEE and ISTE help to enhance their co-curricular activities. It makes us proud that many of the students from this department have been placed in leading companies through our Campus selection program. Students pursue higher studies in leading universities abroad and the department consistently earns more Anna University ranks every year. The department provides healthy & competitive environment for all round development of students leading to several remarkable achievements in GATE, CAT, GRE, TOEFEL, PSUs etc. Two days Industrial Workshop on “Transformer & its Applications” in association with Sakthi Transformers on 01.03.2018 & 02.03.2018.